As always we would like to thank every single person who entered the competition. However, to paraphrase Highlander, there can only be three! And our three winners are: Cade Taylor, Steve Pereira and Darren Foley. You’ve been emailed requesting your shipping addresses. Alien vs. 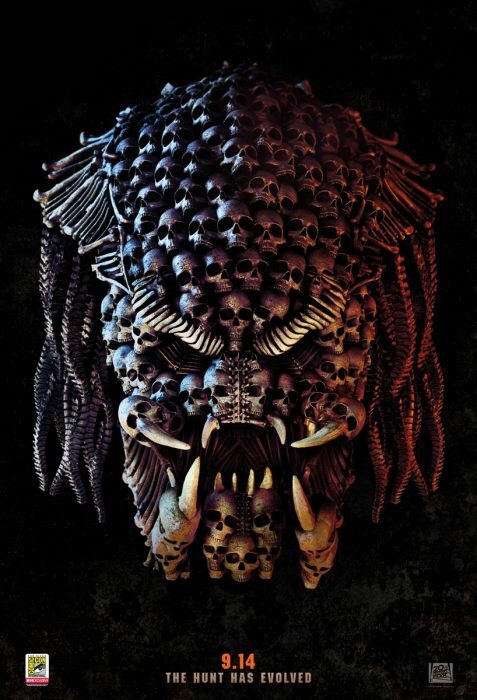 Predator Galaxy and 20th Century Fox are teaming up once again to give Predator fans a chance to win one of these awesome skull posters that Fox unveiled at San Diego Comic Con! We’ve got three of these posters to give away to members of the Alien vs. Predator Galaxy community! All you have to do to stand a chance at winning one of these awesome posters is answer the following the question. In the original Predator, Anna told Dutch that the Predator was known to her people as “El Diablo que hace trofeos de los hombres.” Loosely translated, that means which of the following? The demon who makes trophies of men. The demon who takes skulls of men. The demon who changes colour like the chameleon. The demon who bleeds bright green. The competition runs for one week and ends at midnight September 23rd. Winner will be drawn by random means from all those who answered correctly. Winner will be expected to provide their postal address after the competition ends. One entry per person. The first entry will be the one accepted. As always we would like to thank every single person who entered the competition. To paraphrase Highlander, there can only be three! And our three winners are: Cade Taylor, Steve Pereira and Darren Foley. You've been emailed requesting your shipping addresses. Forum name or real name required in the field? You need to do it from the homepage. Don't think it was ever setup for the forum. Nothing happens when I press the send button in this thread. Yeah, I really wanted the thermal one too. I managed to pick up an orange one at a convention (for an outrageous price, mind). I really wanted the thermal vision poster or even the orange one. These are full sized one sheets, not the mini posters from Odeon. 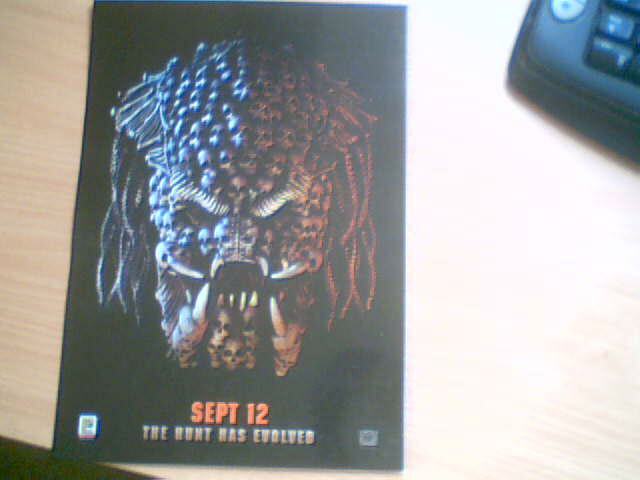 Alternatively my local ODEON Cinema already gave me one for free. Nope, still get an error on both mobile and desktop version. Doing it on the forum. Hmmm. I'm getting submissions so it's probably not the form. I'll ask the boss to have a gander. Are you doing it on the forum or on the homepage? Yeah. Same here. Nothing happens when I send it in. What name did you put in? uhm how do I know if it send it in ?